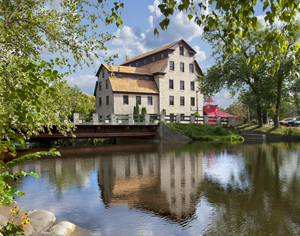 Ozaukee is a beautiful community to experience each of the Wisconsin seasons, with a focus on a high quality of life, outdoor and indoor activities and community. The Interurban Trail is a paved trail that crosses the entire length of Ozaukee County (30 miles), and runs between Belgium, Port Washington, Grafton, Cedarburg, Thiensville and Mequon, making running, biking and exploring the community fun and accessible. Ozaukee County is rich in pioneer history, and the Ozaukee Historical Society is proud to preserve and share the heritage of the area. Coupled with some of the most beautiful and historical homes in Wisconsin, both along Lake Michigan and through the rolling hills, Ozaukee County is the perfect place to make your next home! NextHome Lake Country can help you find the perfect home in Ozaukee County or help you sell your home. Give our Ozaukee County realtors a call today!